There are some other things I like to do as well as making & eating Food. Photography is one of them. Today’s theme for “Photo 101” is ‘STREET’ so here it is. This street is a long and very steep road. I wanted to capture how big the slope is on my camera but it was much more difficult to do than I thought. Both ends of the road are almost like a hill and the middle of it is the lowest part. It is actually like a valley. But unfortunately you can’t get this impression in the photo. Or can you? I don’t have a very expensive camera yet. I wonder if a better lens could have created the vision I wanted. 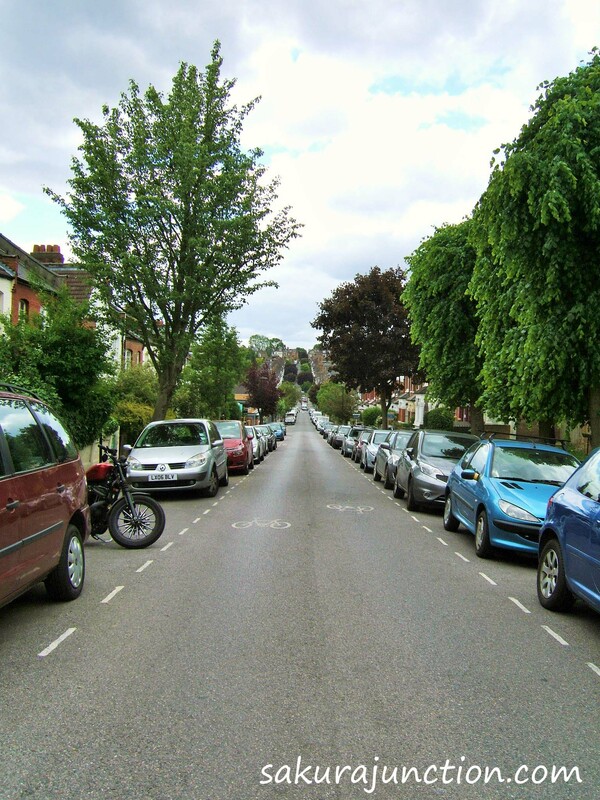 Great photo as it is nicely looking right down the street with cars symmetrical on each side- very pleasing! Great photo. The symmetry makes it. On capturing the slop. If you shot it from the bottom of the street up, getting low on the ground yourself, would the cars angles create the slope for you? Thanks JoHanna. Actually I have tried all sorts of positions/directions and this one came out to be the best. I think that is why Photography is interesting. There is something deep in it?! Oh there is nothing better than taking pictures.